Through our interline agreements, additional routes and destinations are offer all around the world, with more than 100 partner airlines with an efficient solution for transporting your shipments to all 5 continents. We are also committed with the expansion of your business and your customer’s satisfaction, offering air and ground transportation alternatives that enable you to choose from fast and direct connections departing from the place you need. We are constantly looking for new partner airlines, with whom your cargo can be trusted, with the best combination of price, capacity and reliability. 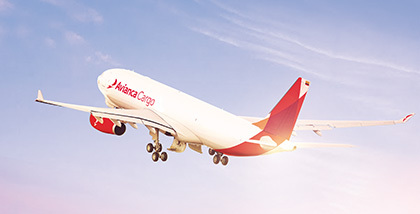 Our current network serves as a gateway to and from North, Central and South America, and together with our freighter and passenger fleet help develops your business opportunities. From South American flowers shipping to Japan or electronics from South East Asia to the Caribbean, we strive to give you different alternatives to better serve your needs. For your information, you will find some useful links regarding airport and airlines IATA codes.